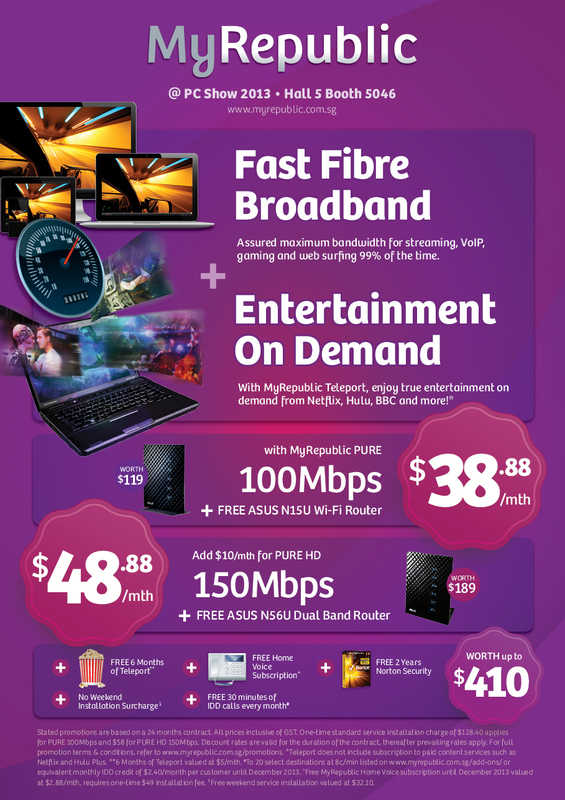 For those who missed out the PC Fair Promotion... here we go again. Due to the bad weather in Singapore, all installation are deferred and appointments are set after 25 July 2013. Home Passed OpenNet installation may be subjected to further changes. Our Advise is the PureHD as it's VALUE FOR MONEY. 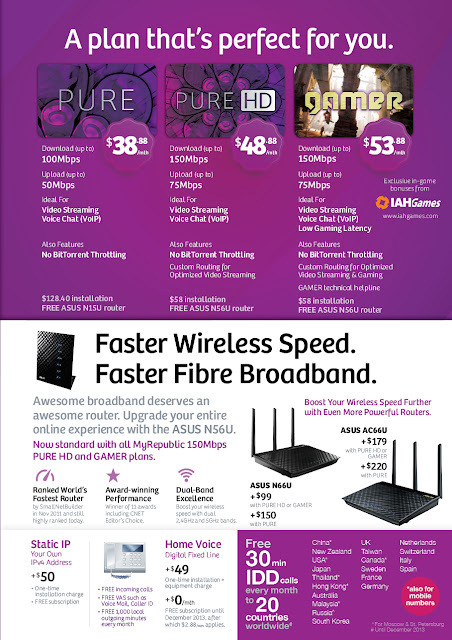 DUAL BAND and 150Mbps for a small price difference. The setup fee is also less than half. But the best part is, we have upped the Router to Cisco Enterprise Grade. There is also THREE MONTHS FREE. Interested to sign up?? It's simple. Download the PDF File below, digitally sign and revert back with your IC Front and Back. Too lazy and dunno how to? No Printer. Call or SMS. If U trust us enough, SMS your Full Details as in the form with yr DEBIT CARD front copy and we do the rest for U. We are here to make your life better.